A tumble dryer has become a major convenient household tool. This common household appliance has made it easier than ever before to keep our clothes clean, dry, and well-maintained. Unfortunately, the traditional dryer remains an impractical choice for a large portion of individuals all over the world due to its imposing size, impractical set-up, and high electricity usage. Are you feeling heated up over trying to find the right portable clothes dryer? Don't worry anymore. We conducted an update on this review guide that links you right to the dryer you took time to read about and purchase. No more guesswork for you! While you're here, check out the FAQ section to see answers to the most common questions. This is where the mobile garment dryer comes in. By harnessing modern technology, many manufacturers have created a compact drying device that addresses the concerns caused by traditional dryers. Traditional clothes dryers are large, expensive to repair if something breaks, and are too difficult to move throughout the home or to a new residence. They also require a hook-up system, whereas a portable dryer is one unit. These compact appliances offer the same drying power as their traditional counterparts, with the added benefit of being smaller, mobile, and ecologically friendly. These portable appliances have become an important tool for apartment dwellers and frequent movers thanks to their compact size and mobility. While portable drying devices generally have a smaller load capacity compared to traditional dryers, this capacity is often still adequate for couples and small families. 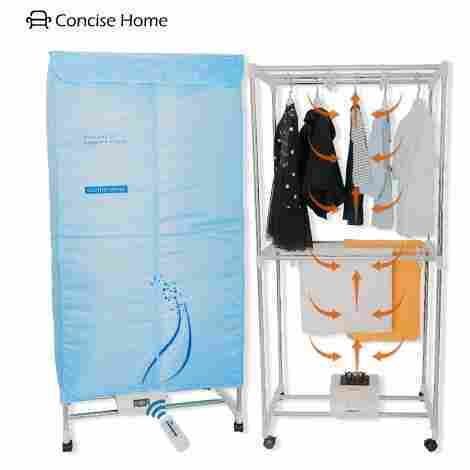 A mobile drying appliance will still help you get clothes dry quickly, get wrinkles out of your clothes, and make sure that your towels and sheets are fluffy. However, what makes this device particularly appealing is that it is capable of so much more. Opting to use a mobile dryer will help you save on your electricity bill, will free up some space in your home, and allow you to easily take your dryer with you wherever you go. So, if you want to learn more about how to use a portable clothes dryer, or see other features that they have, keep reading. Take a look at our top-rated dryers below, to find the best option for you. This compact device from the trusted appliance manufacturer, Panda, offers incredibly drying power for its tiny size. This appliance boasts a capacity of up to 8.8 lbs, a stainless steel drum, and transparent window. Weighing in at a mere 44 lbs, this device is easy to move around and can be safely mounted to a wall to save even more space. Its sleek design and efficiency make it the perfect choice for apartment living. The Panda Compact has been made out of materials selected for their lightness and durability. This appliance weighs in at 44 lbs which makes it easy to move the device around, mount it to a wall, and even take it with you on camping or RV trips. Despite its small size, the Panda Compact still packs a punch when it comes to drying. This device can safely and efficiently dry garments, bedding, and any other household linen albeit in somewhat smaller loads. 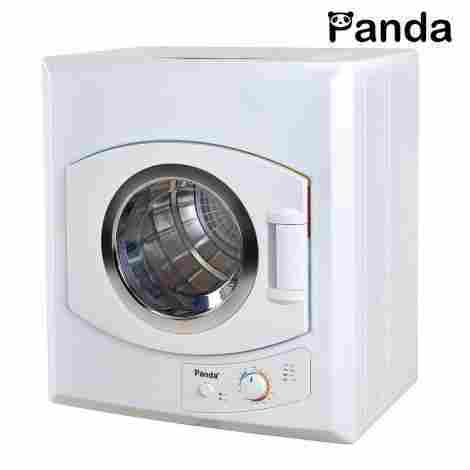 The Panda Compact is somewhat more expensive than other similar appliances available on the market. However, this lightweight device is well worth the investment and includes a removable lint filter, wall mounting kit, and one year guarantee. 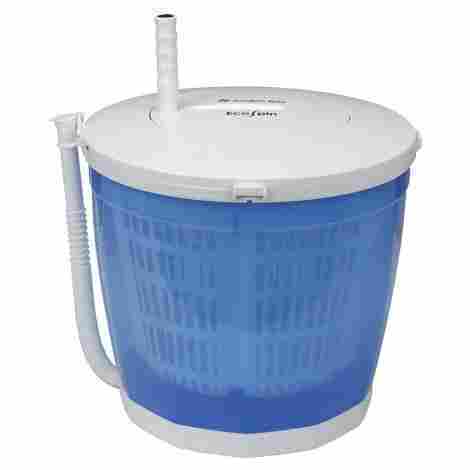 Has a stainless steel drum for durability and quick drying power. Weighs only 44 pounds which makes it easy to move around. You can choose between four different dryer settings. Includes kit for wall mounting. The lint filter can be difficult to clean. This device from Manatee looks deceptively simple, yet offers complex drying technology. This device harnesses a unique technology known as anion technology to completely sanitise your garments. This is the ideal defence against any bad odours or mildew that may arise from manual drying. Moreover, this appliance has a 33 lbs load capacity. After using, simply fold up your rack to safely store away. While the Manatee uses gentle heat to dry your garments, it also utilises its unique sterilising technology in the process. This will protect your garments against any mildew, dust or harmful bacteria build-up and can be a lifesaver for those who suffer from allergies. One of the most competitive aspects of this device is its large load capacity. The Manatee dryer can easily handle a laundry load of up to 33 lbs. This is significantly more than the majority of available drying appliances available on the market. The Manatee dryer is much cheaper than many of its competitors. Despite its low price, it has a higher load capacity than other devices, can be operated using wifi or a remote control, and has unique clothes sanitising feature. Offers a load capacity of up to 33 pounds. Cheaper than other similar products. Has anion sterilizing technology to sanitize garments. Includes a remote control for remote operation. Can be taken apart and stored away after use. Much like its name suggests, the EcoSpin from Avalon Bay is the ultimate solution to environmentally-friendly garment drying. Instead of using an electric-powered motor or engine to deliver a spinning movement, the EcoSpin features a simple yet effective manual hand crank. It has a load capacity of up to 4.5 lbs and made out of lightweight materials. Since this device does not require electricity and is extremely compact it is ideal for being used in the outdoors. This device can easily be transported with you on trips to even the most remote places. It is lightweight and compact enough to be easily transported and since it requires manual power you're not reliant on electricity to use it. While this device was created for wringing out excess water, it can just as easily be used to wash your clothes in. Simply add some water and detergent to your bundle of clothes and use the hand crank for a more effective washing method than hand washing. This device is the cheapest available mobile dryer available on the market. This is likely because it was intended for manual use and does not require an expensive motor or heating element to work. Despite this, it is made with durable materials and will be an invaluable companion to the outdoors enthusiast. Operates with manual labor using a hand crank. This device does not use electricity, making it environmentally friendly. The compact design makes it easy to transport. This device can double as a portable garment washing machine. This device is more effective to get rid of excess water rather than drying garments. The manual labor required for hand crank can be strenuous. 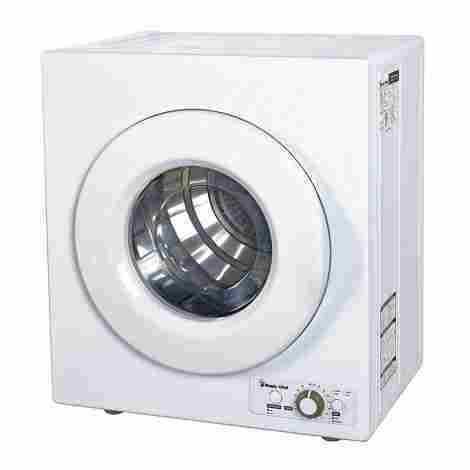 This deceptively small dryer will surprise and delight users with its sheer drying power. 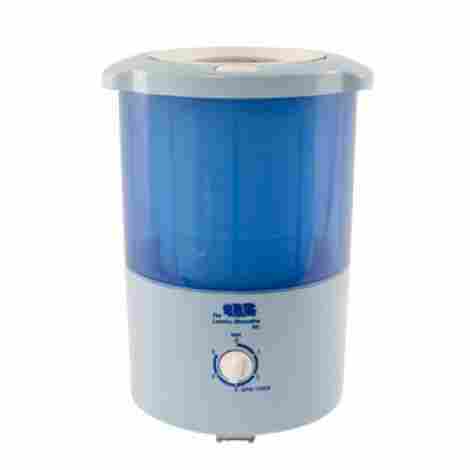 This mini dryer from The Laundry Alternative weighs a mere 12 pounds and is small enough to comfortably fit on your countertop. This little device is made out of thick durable plastic, has a spin drum and operates using electricity. Simply put it on any even surface and plug in to get your favourite shirt or jean dry in no time. This device is the perfect solution for drying garments on camping and RV trips since it weighs only 12 pounds and is easy to pack up and go. Simply ensure that there is a 120V electric outlet available and dry your garments with ease. This little device promises to dry most of your garments within 2-3 minutes which makes it great for both camping trips and household use when you need something dry quickly. The device also allows you to choose how many minutes you want to dry your garments for by using the knob located at the bottom of the device. Despite its immense drying power and sheer speed, this tiny device is remarkably cost-efficient. This device will be the perfect investment for future camping trips and its durable exterior will be able to withstand the test of time. The device only weighs 12 pounds. Small size makes it easy to transport. Features a spin drum for quicker drying. Can only handle loads of up to 2.2 pounds. The draining pipe can be susceptible to issues. Much like their name suggests, The Laundry Alternative has established themselves as experts on innovating alternative methods of doing laundry. What makes the Nina Soft Spin so remarkable is that it promises that 90% of your laundry load will be dry within 3 minutes of switching on the dryer. Moreover, this device is very lightweight, is easy to use, has a 12 lb load capacity and a maximum spin speed of 1800 RPM. This is ideal for quick and compact drying. The Nina Soft Spin uses a combination of ventless design combined with an incredibly high spinning speed of up to 1800 RPM to ensure that your garments are dry in record time. The manufacturer promises that 90% of your load will be dry within 3 minutes, which is impressive even for large dryers. This device requires absolutely no complicated assembly or set up. Simply remove the motor locking bar before you use it, plug in the device and start drying. The device automatically switches on once the lid is closed and does not require any additional input. Despite its powerful drying technology, the Nina Soft Spin is very competitively priced. The device has been made using lightweight and durable materials, offers an extremely high spinning speed and has a three-year warranty. High-speed spinning power of up to 1800 RPM. The manufacturer offers a 3-year warranty. Features a load capacity of up to 12 pounds. Dries 90% of garments within three minutes. Compact design makes this device easy to transport. High-speed spinning can be noisy. This sleekly designed drying appliance will be a perfect fit for the stylish and aesthetic conscious. This product from Magic Chef contains a stainless steel drum, a viewing window, and five different drying options that can be adjusted using the controls on the device itself. The device weighs 48 lbs and can comfortably carry a load of up to 8 lbs. The appliance can be mounted on a wall. While this device may not be as lightweight or mobile as some other mobile dryers, it makes up for that with its durable, sturdy design. This device is well-suited for the apartment dweller who is simply looking for a smaller alternative to the traditional dryer. This device works similarly to a traditional dryer, and yet is very moderately priced. For this price, you'll receive a beautifully designed product that gives you the power of choice in drying your garments. Offers five different drying settings. Includes a stainless steel drum for optimum drying and durability. Includes wall mounting hooks for easy wall adhesion. Heavier than other similar products. High-powered spinning speeds may cause noise. This drying rack allows you to hang up your clothes and leave it while it airs out. This device includes a clothing rack, a heating element at the bottom, and a heat-insulated cover. The heating element provides different and adjustable heat intensities while the cover keeps the heat inside. This device is ideal to use for delicate fabrics and can be stored away easily after use. The added heating kills any potential bacteria or odours that could still be trapped in your garments after washing. This method of drying will keep your garments much more sanitary compared to simply hanging them up to dry on a regular rack. This device allows you to choose between two separate heat settings. The heat can easily be adjusted using a touchscreen display located at the bottom of the device. Simply choose the heat suited to your preferences and let this device do the rest. This drying rack is very competitively priced compared to other similar products. For a modest price, you'll receive an effective drying device that is an important tool in keeping your clothes dry and hygienic. Features anion sanitizing technology to sanitize garments. Features a load capacity of up to 33 pounds. Suitable for a variety of fabrics, including delicate fabrics. Takes longer to completely dry garments. This sturdy and sleek drying appliance promises to give you the full drying experience without taking up so much space. This model from the trusted manufacturer, Avanti, features a stainless steel drum, a viewing window and the ability to adjust to a spin setting of your choice. This dryer has a capacity of up to 4 lbs and weighs 45 lbs. While not suited for frequent movers or a dorm room, this device is perfect for a small apartment or condo owner looking to free up some space. Unlike many similar products on the market, this model from Avanti was made to last. This device was constructed using only high-quality, durable materials such as aluminum and stainless steel. The Avanti dryer offers a much better drying efficiency than many of its competitors. While somewhat smaller in size, this device still utilizes spinning technology for maximum efficiency and offers the user a variety of spinning speeds to choose from. The Avanti dryer is one of the most expensive products on our list and with good reason. This is an investment appliance that definitely delivers on the price. You are guaranteed efficient drying, a sturdy appliance, and excellent customer service. Includes hooks for easy wall adhesion. Includes a timer control feature. Includes a stainless steel spinning drum. Features a removable lint filter that is easy to clean. More expensive than other similar products. This product is likely to appeal to you both for its efficient and downright adorable design. The MeyKey dryer features a hanging rack design that has an added heating element and heat insulated cover to speed up the drying process. The heating tool contains anion technology to sanitize garments and provides a gentle enough heat to use on all fabrics. This device can easily be taken apart for easy storage in cramped spaces. This device's gentle heat provides your garments with anion sterilising technology. This will keep them sterile and fresh by preventing the growth of germs and can help you avoid mildew or dust. The heating element provides a heat of up to 60 degrees. This is gentle enough to use safely on delicate fabrics. Despite the heat efficiency, the motor is completely silent during operation. This product is very cost-efficient and modestly priced when considering the dryer's immense heating power. This product has been made using durable materials and offers its user versatility and is very safe to use. Completely silent when in use. 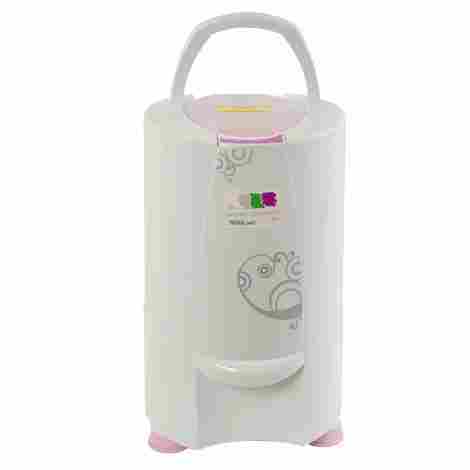 Features anion sterilization technology that sanitizes garments. More cost-effective than other similar products. 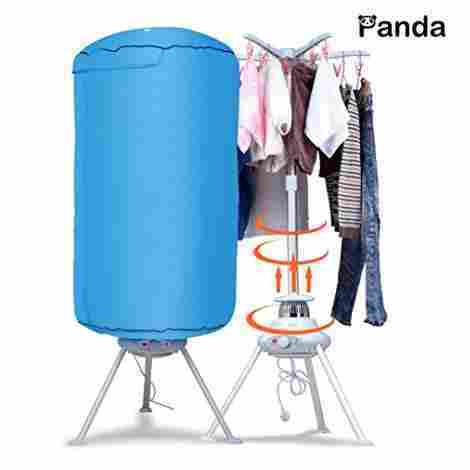 One of the leading authorities in garment drying technology, Panda, has created a drying rack with added heating technology that will thrill dorm room dwellers and frequent travellers alike. The Ventless features a no-nonsense approach to drying and features a hanging rack, heating element, and heat-insulated cover to get the job done. This rack can manage a load of up to 22 lbs and is easy to fold up and put in storage. The Ventless allows you to choose the heat better suited to your needs. You can adjust the heat using the controls located at the bottom of the device. Opt for a lower heat for delicate fabrics such as wool and silk and a higher heat for dense fabrics such as jeans or towels. Laundry never stops, which is why the Ventless is the perfect companion to all your trips. This device is incredibly easy to take apart and pack up so you can have perfectly clean and wrinkle-free clothes wherever you go. The Ventless is one of the most cost-effective devices available on the market. Despite the low price, the product is from a well-respected manufacturer, has been created with durable materials, and comes with a one year warranty. More cost-effective than most other products. Easy to store after use. Has a load capcity of up to 22 pounds. Not suited for heavy-duty drying. Heat can affect room temperature. Thanks to their portable size and drying power, this appliance is the long-awaited answer to prayers of travelers, dorm, and apartment dwellers alike. Thanks to modern technology, our list of top-rated products will allow you to get your clothes dry in no time while still keeping them fresh and sanitary. The number one benefit of this gadget is that it saves on space. Smaller options are significantly lighter and more compact than traditional versions. However, you can also opt for a drying rack with a heating element instead. These devices are easy to take apart and store away to maximize your home space. Another perk of the mobile option is that it saves on energy. 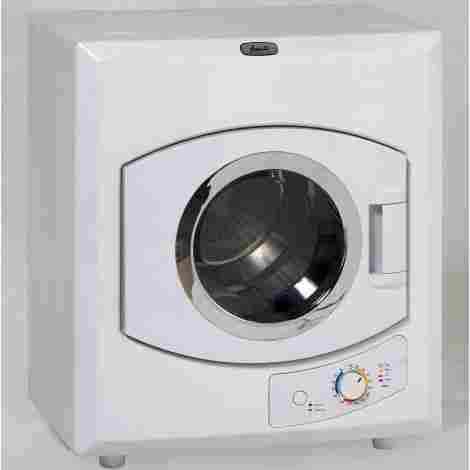 While the average dryer needs a minimum input of 220V and has an output of up to 2400 kW/h. In comparison, a compact version needs a minimum input of 110V and has an average output of 1000 kW/h. This makes this appliance the friendlier choice for both the environment and your budget. Lastly, there’s the undeniable convenience that the mobile dryer offers. These devices have been designed to suit any lifestyle and with our wide selection of top-rated products, you can definitely find the best option to suit your needs. Your first step in choosing your ideal option is to consider exactly why you need one in the first place as this will guarantee you more effective results. The vast majority of people turn to a compact device either because their homes are too small to accommodate a traditionally sized dryer. 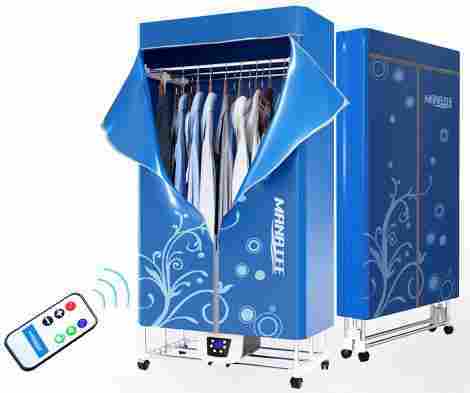 However, a mobile garment dryer is also an ideal option for those who travel regularly, especially those that take frequent camping or RV trips. Your ideal device will depend on its intended use. For example, the apartment dweller, might not need a highly mobile option but would prefer something that is compact, yet efficient. In comparison, the outdoors enthusiast might require a device that does not need electricity and is easy to pack up and store away until its next use. The best way to determine your future dryer’s intended use is to think about when and where this device will be used most frequently and under what kind of conditions. You should also consider what kind of garments and household linen you’ll be drying, as this will determine how powerful it should be. Once you have determined this, you can start searching for one that addresses all your specific needs. A huge factor to consider when choosing your device is the space you have available to place it in. As we mentioned previously, a compact, mobile drying appliance is ideal for those who live in a small apartment, dorm rooms, or who travel frequently. However, there is still a relatively large discrepancy in the size of popular mobile options available on the market. For example, the apartment dweller could perhaps afford a slightly bigger and more powerful option, while the college student, might prefer something even more compact and that is easy to put in storage. When determining the size of your future device, you should consider the space in which you will operate your it in. Another key consideration is whether you’d like to store your device after use or keep it in place. Once you have measured the size of the determined space, you can easily look for the mobile product whose dimensions are best suited to your living space. When determining the size, also keep in mind the weight as heavier options might be more difficult to move. When it comes to mobile garment drying technology, you have three options in terms of drying technology, and each comes with its own benefits. Certain products come equipped with hand crank technology. This device is ideal for the outdoors enthusiast since it is not reliant on electricity to work. The device is usually made out of durable plastic and contains a spin drum, a hand crank for operation, and a pipe that lets out excess water. This device is entirely dependent on manual labor to work. While it may be too strenuous for the sick or elderly, it is perfect for use in the outdoor or for the environmentally conscious. The second kind of device comes in the form of a clothing rack on which you can hang your laundry load. Some clothing racks come equipped with heating technology and a heat insulated covering. The heating element generally emits a gentle heat to slightly speed up the drying process without damaging your clothes. The heat insulated covering works to ensure that the heat does not escape. This option is ideal for those who require a highly mobile drying device without compromising on drying efficiency. The last option is where they essentially work similarly to traditional tumble options but on a much smaller scale. These devices also come equipped with a spin drum and internal heating to dry garments, but are generally half the size and use half the electricity of traditional ones. This option is ideal for apartment owners who still want the look of a traditional dryer but do not have the necessary space to accommodate one. Your lifestyle will certainly determine which drain option is most suitable for you in more ways than one. Lifestyle considerations should include factors such as what kind of fabrics do you dry the most? Dense fabrics such as linen, towels, and jeans require more drying power than delicate fabrics such as t-shirts, underwear, and silks. Another important factor should be how much time are you willing to spend on drying fabrics? If you need garments dry in record time, you should consider a device that promises just that. Also, take into consideration if you need the device to accompany you on travels, and in which circumstances it will be used when traveling. The design of an appliance such as this should always be functional. However, there are additional factors to consider when it comes to the design of your device. If you opt for a highly mobile device, you should ensure that it is well-designed enough to easily assemble and disassemble without damaging the parts. In comparison, those who choose a more stationary option should ensure that its exterior design compliments the rest of their living space and can be mounted to a wall space. Lastly, you should ensure that your device included safety features to switch off in the case of any irregularities, especially if you intend to use this device around young children. Several drying models offer unique added features that are likely to appeal to you. For example, some offer anion sterilizing technology that sanitizes your clothes while drying. The best way to find out about any unique features is to read the device’s product description to find any unique added features that might be useful to you. Q: What is a mobile garment dryer? A: It is a device that dries your clothes. Unlike traditional tumble options, the compact version is much more mobile in that it is smaller in size. In addition, it has a lower electricity usage, is only suited for smaller load capacity and frequently takes somewhat longer to dry laundry. However, a major benefit of the mobile garment option is its versatility, mobility, and small size. These are much easier to move around and to travel with. Q: How long does it take to dry clothes? A: This depends on your chosen device. Some, such as the Nina Soft Spin for The Laundry Alternative, promises to have 90% of your laundry load dry within 3 minutes. However, most models promise to dry your clothes within two hours. For an accurate time frame, you should consult the product’s description or refer to your user’s manual. Q: What is the load capacity? A: Once again this will depend on your unique device and its size. On average, one can comfortably dry 6-8 pounds of laundry. Be careful not to overload your appliance, as this will compromise its drying efficiency and can cause damage to the device itself in the long run. To find out your specific device’s laundry load capacity, you should consult your user’s manual or contact the manufacturer for an accurate number. Q: Do you need a venting kit? A: This depends on your devices underlying technology. Most models will not require a venting. However, it is recommended that you read a product’s description to find out if it requires a venting kit before purchase. Q: How many heat settings does a mobile garment dryer have? A: Not all devices offer different heat settings. This is mostly dependent on the device itself. However, if your device does offer a variety of heat settings, it will generally offer you 2-3 different settings. Different heat settings allow you to choose the heat that is more suited to the kind of fabric that you are drying. Dense fabrics will require a higher heat setting than delicate fabrics. Your device’s user’s manual will be able to accurately instruct you on which heat setting is the best for your intended use. Q: Is it safe to use on all fabrics? A: Most can be safely used on all fabrics since it offers a much gentler heat than their traditional counterparts. In addition, not all offer the same vigorous spinning which makes it safe to use on delicate fabrics. However, you should still refrain from using yours on highly flammable fabrics such as silk or cotton. For more information on which fabrics are safe to use with your specific device, please refer to its user’s manual. Q: Does it need electricity to work? A: Surprisingly, not all drying devices need electricity to work. While the vast majority of available products still require electricity to operate efficiently, certain models such as the EcoSpin from Avalon Bay offers the user the operate it manually. While this may require more manual input from the user, it will certainly appeal to campers and the ecological warrior. Q: How much electricity does this device use? A: It uses about half the electricity of a traditional option. A mobile version needs an input of 110V and uses an average of 1000 kW/h. In comparison, a traditional option requires a 22V input and can use up 2400 kW/h. This means that the mobile version is significantly more energy efficient than its traditional counterpart, which is great news for the environment and the user’s bank balance. Q: What is the average life expectancy? A: Once again, this depends on your specific device. To ensure the longevity of your device, you should purchase one that’s made using only durable materials. In addition, you should take care to use the device correctly. Consult your user’s manual before use and adhere to its instruction when you dry your laundry. For travelers, ensure that your device is safely packed before you travel so that its parts do not get damaged in the process. Q: How big will it be? A: Different makes and models will inevitably differ in size, but you will still surely find a device that is just right for you. Even the heaviest option will be no heavier than 44 pounds, and most other devices will be much smaller than this. In addition, the majority are easy to pack up and store away after using it, which will free up a lot of space in your home. For accurate dimensions of your intended option, please refer to its product description. However, if you can’t find a product’s dimensions, do not hesitate to contact the manufacturer. 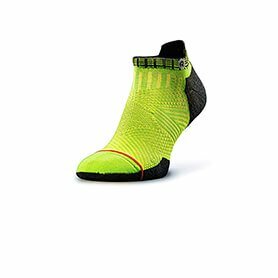 Any reputable manufacturer will be happy to assist with your queries. Q: Are they noisy when they are in use? A: It will be much quieter than a traditional tumble option, and generally, don’t make too much noise when they’re in use. Any noise made by a well-designed device, will not be so loud that it disturbs the rest of the environment. To find out more about a product’s noise levels, please consult its product description or users manual for more accurate information. However, also please note, that excessive noise could be indicative of an internal issue. If yours is suddenly making much more noise than it used to you should switch it off and contact the manufacturer for assistance. Q: Can I use it outside? A: Some are durable enough to be used outside if the proper precautions are taken. Manual versions can easily be used outside since it requires no electricity and is easy to move around. However, not all electric ones can be used outside, especially not in harsh weather. To find out if your device can be used outside, please refer to its instruction manual. If you are planning to use your device outside, make sure that it is on a flat and even surface, and that there is no exposed wiring that could cause damage. In addition, move it inside in the event of harsh weather to avoid damage to the device itself. Q: Where can I buy replacement parts? A: It is best to always buy replacement parts from the manufacturer since these parts will be guaranteed to be compatible with your specific device.